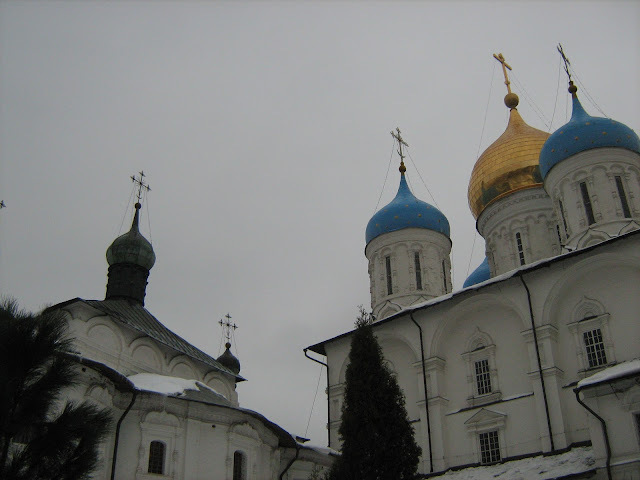 Russia: on and off the beaten track: Doing Moscow: going to the Kremlin. Yes? No! One out of five Muscovites dreams about leaving Moscow for the countryside according to a survey. Believe me, that is for a reason. I started dreaming about leaving it the first year I came here. A most splendid metropolis with traffic jams taking hours of its residents' lives, muddy streets, unskilled cheap laborers employed all over the city in order to make whirlwind money. All these make Moscow unattractive for life. Yet, hoards of people all over the world come here to land unbeatably lucrative jobs. 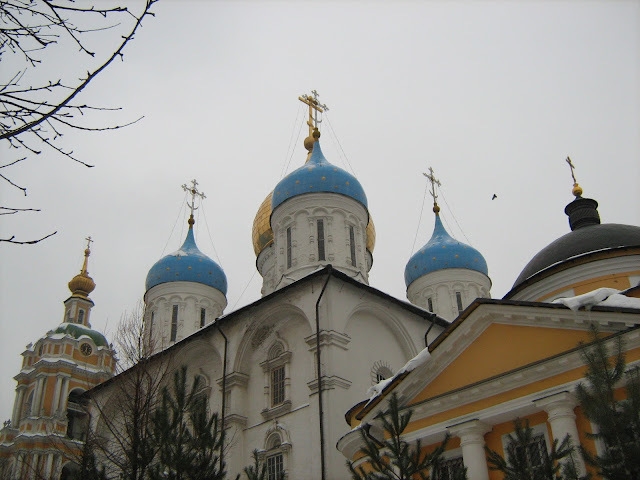 We've discussed the sightes of Moscow with my husband who was born here. Our mutual belief is that Moscow can't be attractive altogether, all of it, in general. There is a number of spots with rich history, and, despite becoming sore from looking at ugly brand-new buildings, your eyes will eventually find its sight to rest on it. 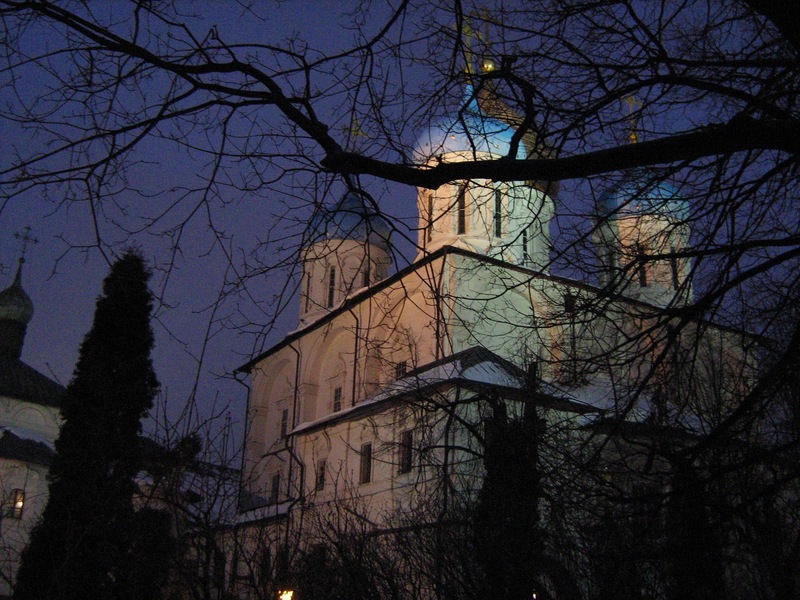 One of a truly enjoyed sights in Moscow for me is Novospassky Monastery. 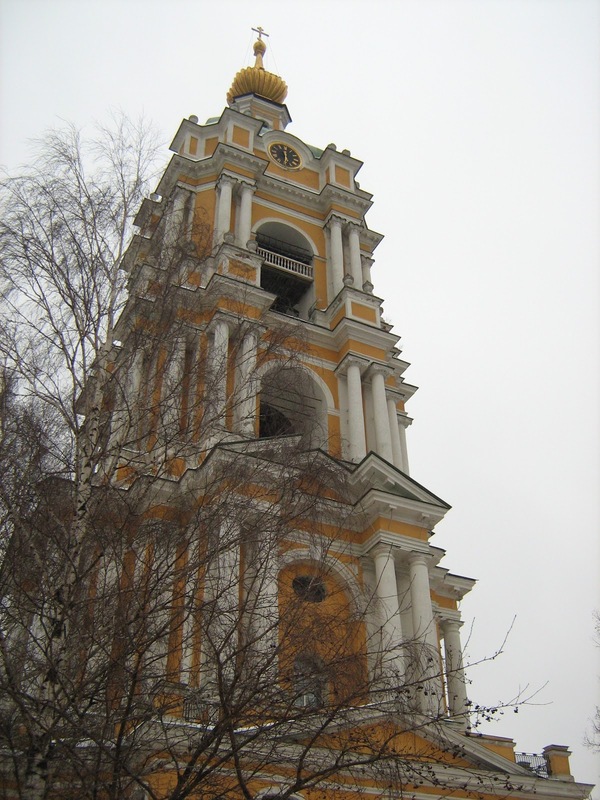 It was founded by the son of Alexander Nevsky. 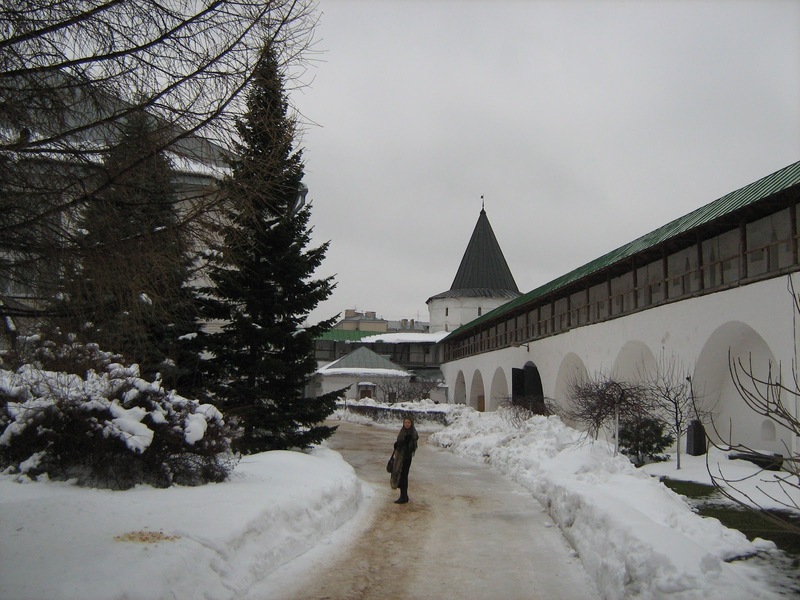 Afterwards, it was transferred to the bank of the Moskva River (where it is now) in order to protect Russian Tzars from Tatar Khans. From the beginning the Monastery was a burial place for noble Muscovites. 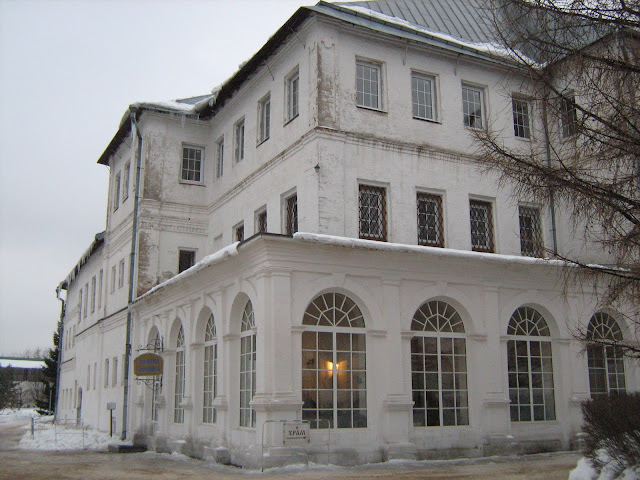 First Romanovs were buried here. The basement burial is open from time to time. Ivan the Terrible benevolently presented villages to the Monastery. He stayed there during the fire broken out in the Kremlin. The French robbed it in 1812. 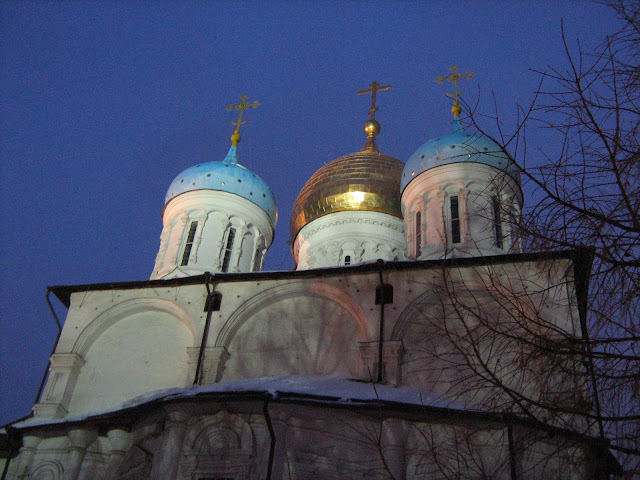 After the October Revolution of 1917 in the 1930s the campaign against the Orthodox Church resulted in taking down thousands of churches all over Russia. 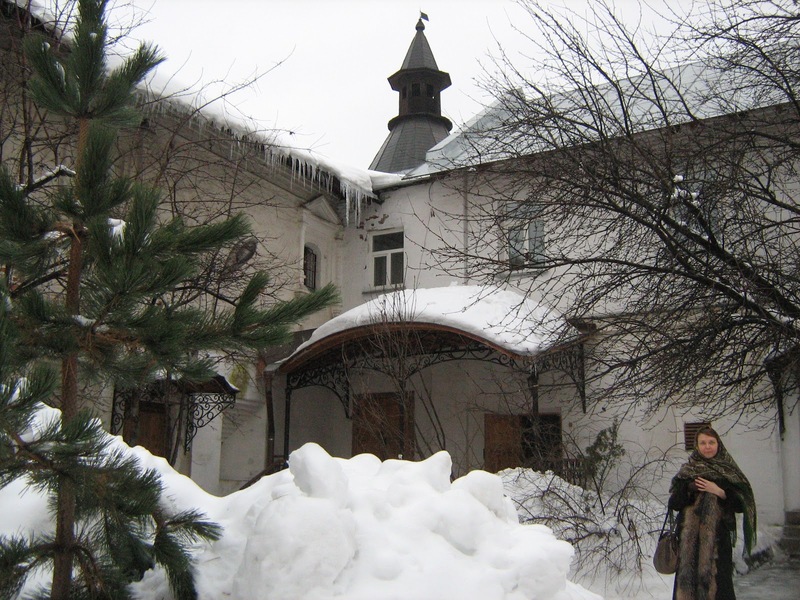 The Monastery was taken over by NKVD and transformed into warehouses, dormitories. Here is the link to see the way it looked after "red terror" was over. It has been renovated since then. Each square inch of its territory is taken care of nowadays. It's equally beautiful and peaceful in all seasons. There are two churches upstairs and downstairs open to the public in the Cathedral. Having been accustomed to classical church interiors of Saint-Petersburg, I was smitten with the grandeur of its iconostasis. The iconostasis of five tiers with sumptuous gilded trimmings gave me such an impression that I come to see it there again and again. 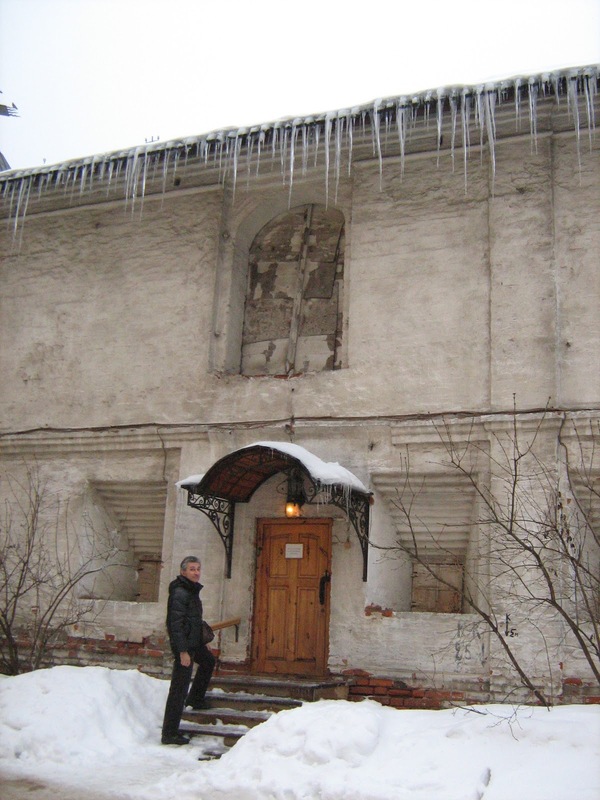 To my regret, the church downstairs with the iconostasis is closed on some days, so one has to know beforehand when they open it. The church upstairs is not so impressive, or, I would say, not impressive at all and... always open. The walls are covered with frescos. They had been whitewashed during anti-religious campaign of 1930s. So the frescos are not in perfect condition. 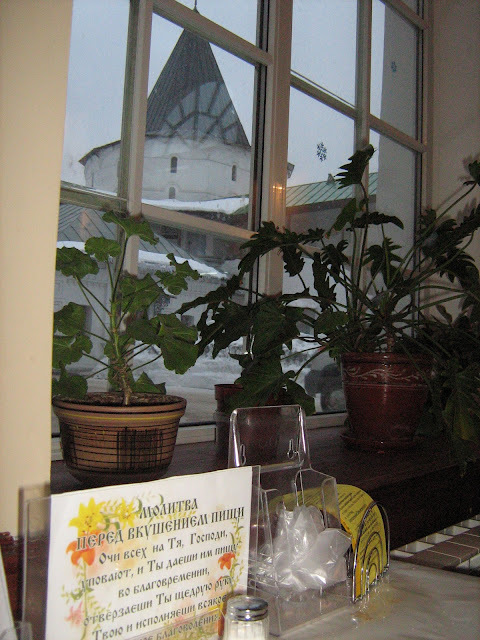 The trapeznaya (canteen) is open all day long and is an absolutely cozy place where you can eat cheap vegetable pancakes, drink a cup of tea, and just relax. You'll pay 5-8 dollars on average. The text of a prayer for those who have a meal is handy on the table. The food and service are basic here. It's vegetarian. 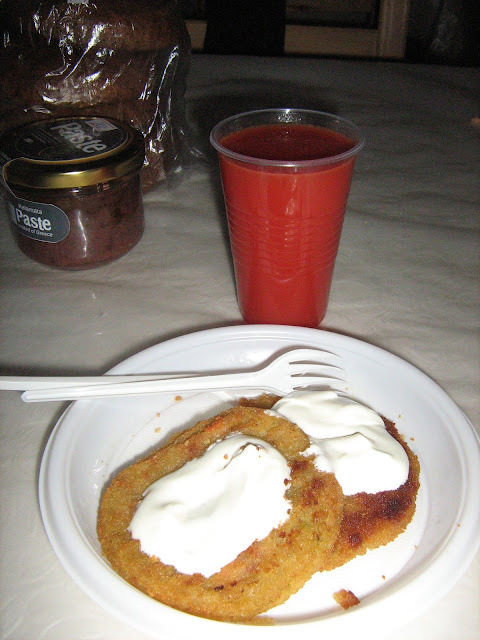 You see some honey, vegetable pancakes, and, right in the foreground - a fruit desert at 75 roubles. 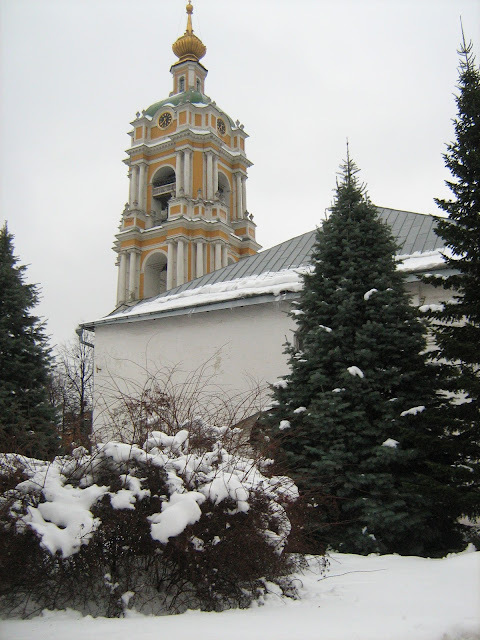 The garden of the Monastery is in contrast with brutal and awkward modern architecture of the outside. It's like coming to the garden in Wonderland: grape vines, unheard of trees (Katalpa, in particular, you can't find it anywhere else), and roses of all tinges and sizes. The garden is always in blossom. In spring - bird cherries and lilacs, in summer and autumn - roses all around. I always wonder who is that magician turning this tiny plot of land into the blossoming paradise every year. The shop is worth dropping in. Silver crosses, chains, candles, incense are sold there. The head scarf I'm wearing was bought two years ago at about 40 dollars, not it's 70 dollars. There is also a book shop opposite the canteen. Remember to put on a head scarf before entering the Monastery. Women aren't allowed there in trousers and without a hat or a scarf.